French President Emmanuel Macron inaugurated the world’s largest start-up incubator in central Paris on Thursday, taking the city a step closer to fulfilling its ambition of becoming Europe’s technology capital. The 34,000 square-metre (366,000 square-foot) facility named Station F occupies a 1920s railway depot on the banks of the Seine river. It is designed to provide a home for 1,000 fledgling companies, who will be mentored by digital giants such as Amazon, Microsoft, Facebook and French gaming company Ubisoft. 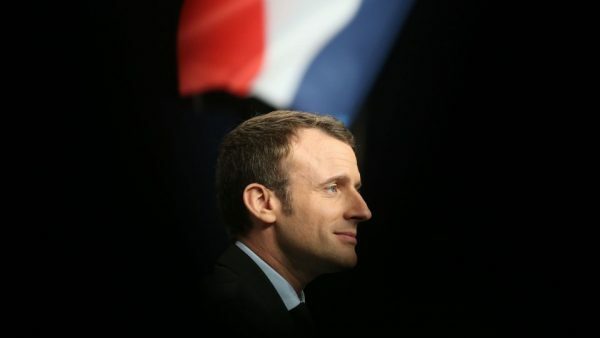 Addressing around 2,000 investors, entrepreneurs, IT students and partners gathered in one of three giant halls that make up the business incubator, Macron compared his stunning three-year journey from political outsider to president to that of a start-up founder. “What unites those gathered here…is that you do not want others to write your story and that of your country in your place. That’s what it means to be an entrepreneur,” he said to loud cheers. The hub is being bankrolled by billionaire Xavier Niel, who revolutionised the French internet and mobile market with his low-cost Free service and is now on a crusade to get young French people into employment through technology. The concrete-and-glass complex situated next to the national library in the 13th district will be a “very visible place that creates a strong image for Paris”, Niel told AFP ahead of the launch. “The idea is to create a place that acts like a beacon and helps others,” he added. The space has been designed to create the feel of an American college campus, with entrepreneurs paying 195 euros ($221) a month for one of 3,000 workstations in a venue that also includes three bars, an auditorium, a restaurant and meeting spaces. Several leading French universities and venture capital funds will also provide on-site advice. Station F is the biggest of around 40 incubators that have sprung up in Paris, which is competing with London and Berlin for the title of Europe’s technology leader. “This is our Silicon Valley,” said Gaelle Madelin-Girardeau, co-founder of an e-learning platform for children, Cood, whose company won one of the coveted spots in Station F.
“It’s really good in France to see this energy. We’ve haven’t had that in a long time,” the 35-year-old former Google executive told AFP. France has long battled a perception of being unfriendly to business, held back by high labour costs and red tape. Addressing the launch, Mayor Anne Hidalgo said the hub showed Paris was not a “museum-like city”, stuck in time. Niel, who launched a no-fees school for computer coders in Paris in 2013 that broke the educational mould, has invested 250 million euros in Station F.
Currently, London has the lead in luring international talent. The French are hoping the pendulum will swing across the Channel when Britainleaves the EU. Among the French start-ups that have received huge capital injections from US investors are the car-sharing BlaBlaCar — valued at over 1.0 billion euros, making it what is known in the tech sector as a “unicorn” — and online advertising firm Criteo. An engineer by training, Rousset said the business climate for entrepreneurs in France had changed “enormously” since he graduated in 2009.